Successfully Added SUTEFOTO Camera Track Slider - 60CM Lenght, 5KG Load Support, Light Weight Carbon Fiber, Foldable Design, Angle Adjustment to your Shopping Cart. The SUTEFOTO is an efficient Camera Track Slider that supports you in shooting the smoothest images imaginable. Made out of durable and lightweight carbon fiber this camera accessory features a foldable design, making it an extremely portable gadget that can be easily carried around no matter where you go. Being the perfect accessory for keen photographers and film makers that wish to take their skills to an entirely new level, the SUTEFOTO is guaranteed to help you shoot smooth and detailed images. Thanks to its high build quality and fluid movement, this slider will improve your film making quality significantly – adding an extra dimension to your footage and opening up entirely new shot making possibilities. Being able to support a max load of 5KG this camera slider is capable of carrying the heaviest camera equipment. With a length of 60CM it can be used to shoot wide shots in a stable manner, letting you capture all your surroundings have to offer. With its great range of movement the SUTEFOTO camera slider offers a great platform through which to get some interesting shot set ups. Usable both with and without a tripod your filming options will be limitless. Simply attach your camera to this slider and you’ll be all set to shoot beautiful and stable images no matter where you are. Featuring multi-angle adjustment this high-quality camera slider allows you to shoot images and footage with great viewing angles – guaranteeing that you will always be able to get the perfect shot. Its smooth deign delivers efficient movement without any friction or noise, ensuring that the footage you shoot truly will be of astonishing quality. Featuring holes at both sides of the slider this camera accessory can be used with or without a tripod – allowing you to raise the heights of the slider whenever desired. Seen as an essential instrument for all (semi-) professional camera men and women out there, this camera track slider helps you to shoot compelling ‘’tracking shots’’ by creating a true sense of moment in your footage. With the SUTEFOTO camera slider you truly will be able to take your photography and film making skills to the next level – allowing you to shoot clear and stabilized images and footage no matter where you are. 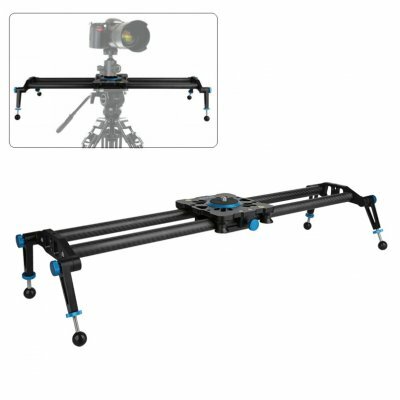 Enjoy all the possibilities offered by this professional camera slider now at a remarkably low price and increase the quality of your footage significantly with this magnificent camera gadget. The SUTEFOTO Camera Track Slider comes with a 12 months warranty, brought to you by the leader in electronic devices as well as wholesale electronic gadgets..
Arabic: - كاميرا تعقب المنزلق - Chinese Simplified: - 相机跟踪滑块 - Czech: - jezdec sledování kamery - Dutch: - camera track schuifregelaar - French: - curseur de suivi de caméra - German: - Kameraschlitten track - Hebrew: - מצלמת מעקב אחר המחוון - Hindi: - कैमरा ट्रैक स्लाइडर - Hungarian: - kamera pálya csúszka - Italian: - scorrimento della fotocamera - Japanese: - カメラ トラックのスライダー - Korean: - 카메라 트랙 슬라이더 - Malay: - kamera runut slaid - Norwegian Bokmål: - kameraet sporet skyveknappen - Romanian: - aparat de fotografiat pista slider - Russian: - Слайдер трек камеры - Spanish: - cámara pista deslizante - Thai: - เลื่อนกล้องติดตาม - Turkish: - kamera parça kaymak - Vietnamese: - camera theo dõi con trượt.